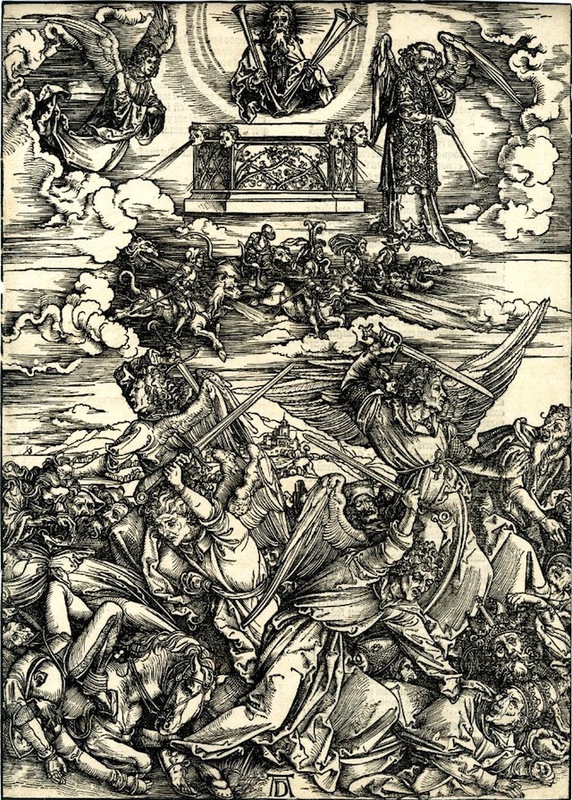 Familiar are Albrecht Dürer’s “Four Horsemen of the Apocalypse” (c.1497–98) — pestilence, war, famine, and death charging down on the bewildered masses, all cross-hatched in a meticulously detailed woodcut. 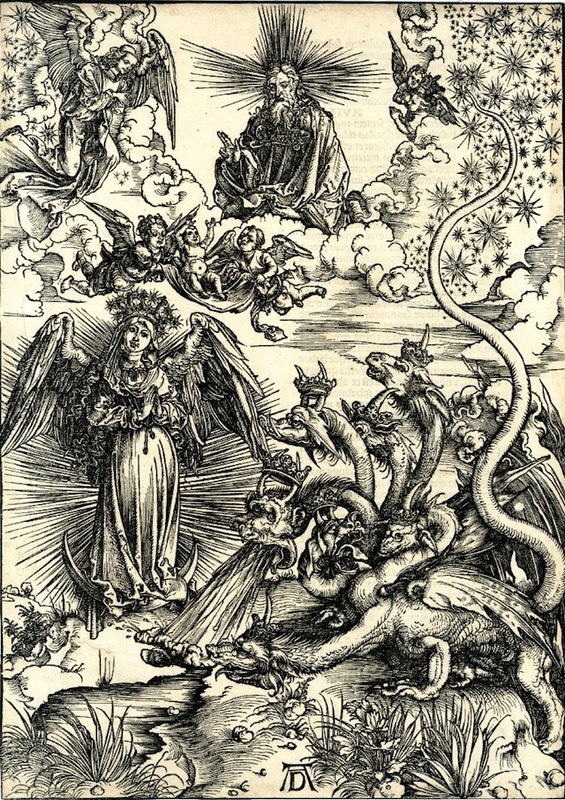 Less known is that this illustrated 15th century Book of Revelation was self-published by a 27-year-old who saw the potential for the developing book market. 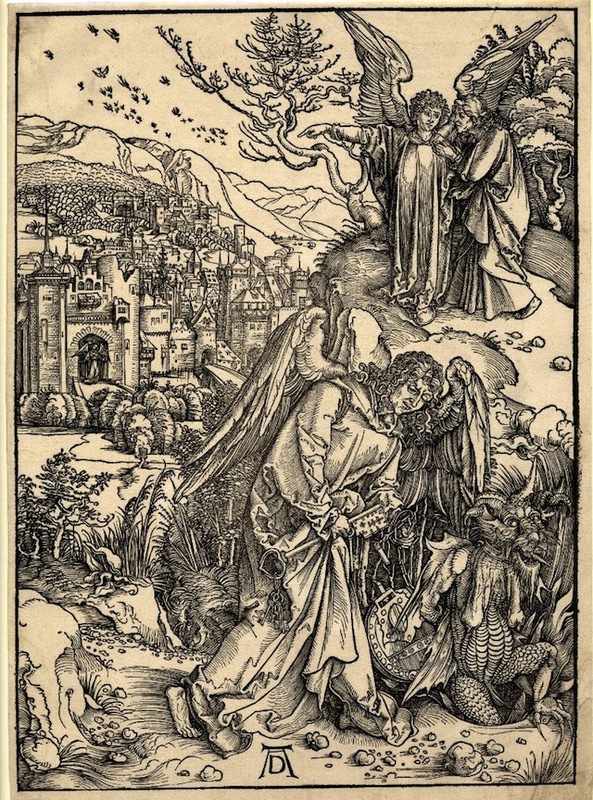 A 1511 edition of Dürer’s Apocalypsis (The Apocalypse) is just one of the many literary and artistic achievements in Marks of Genius: Treasures of the Bodleian Library now at the Morgan Library & Museum. 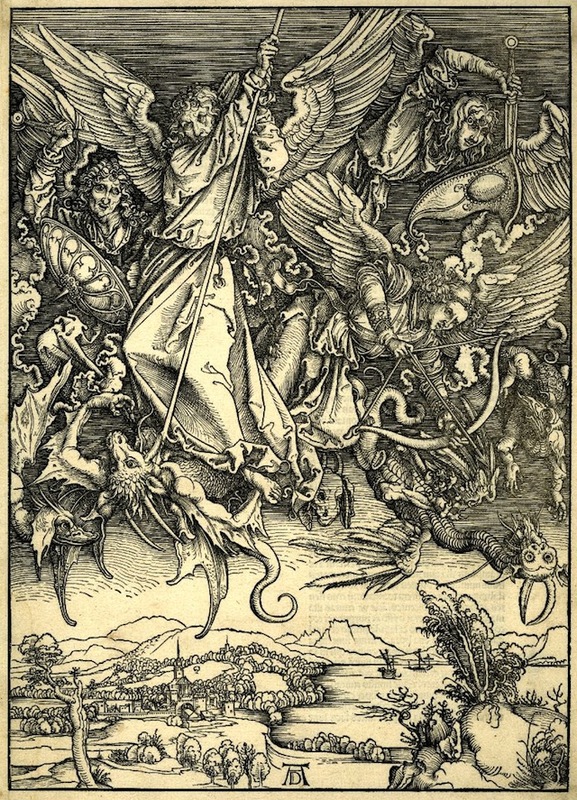 From Euclid and the Magna Carta, to constellations of the Islamic world and Mary Shelley, the exhibition has spirited over the Atlantic some of Oxford University’s Bodleian Library’s most precious manuscripts. 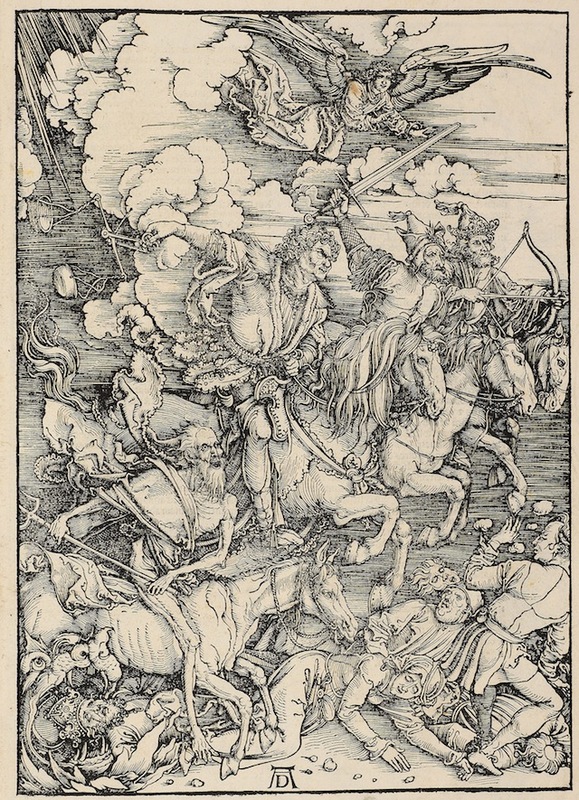 Only the page with the Four Horsemen is open in the Morgan Library (you can zoom in close on the Marks of Genius site), but you can see more images of the Apocalypse from Dürer below via the British Museum. 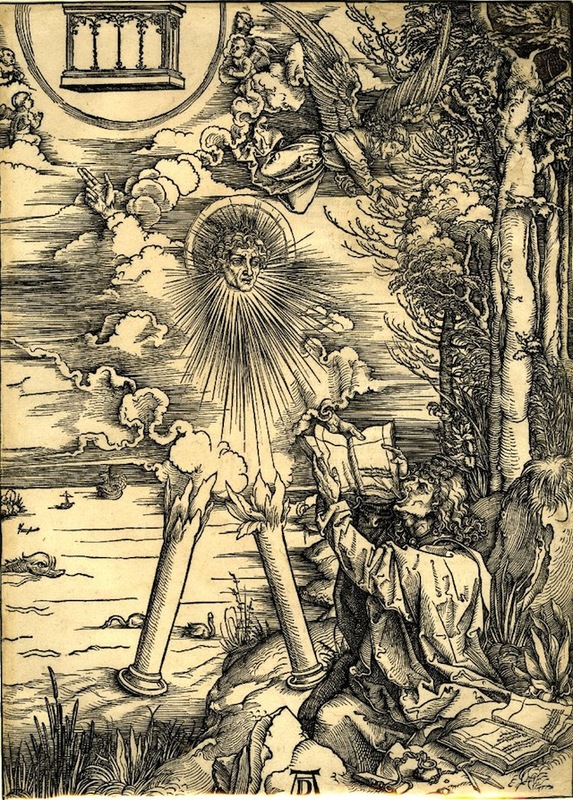 And more of Dürer’s early experiments with woodcut printing will soon be on display in Manhattan at the Museum of Biblical Art, which will show his print and block for the 1498 “The Martyrdom of St. Catherine of Alexandria” in an exhibition opening next month. 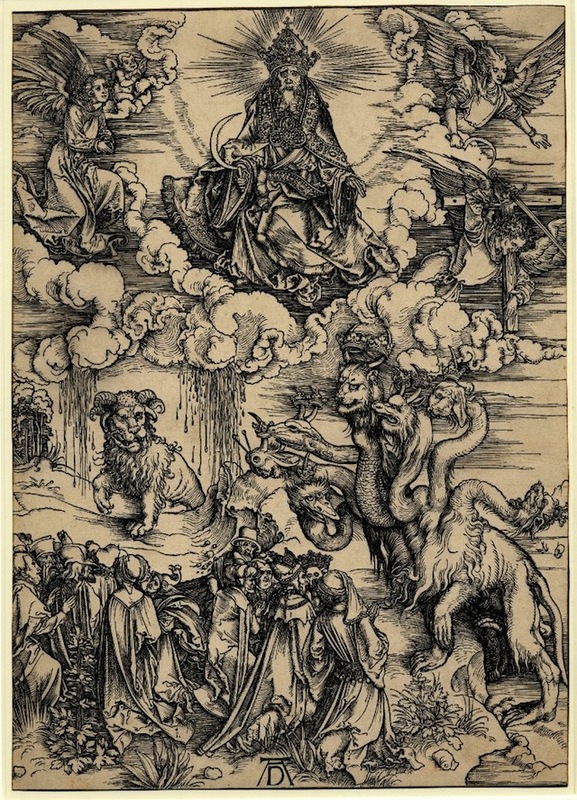 Marks of Genius: Treasures of the Bodleian Library continues at the Morgan Library & Museum (225 Madison Avenue, Midtown, Manhattan) through September 28.